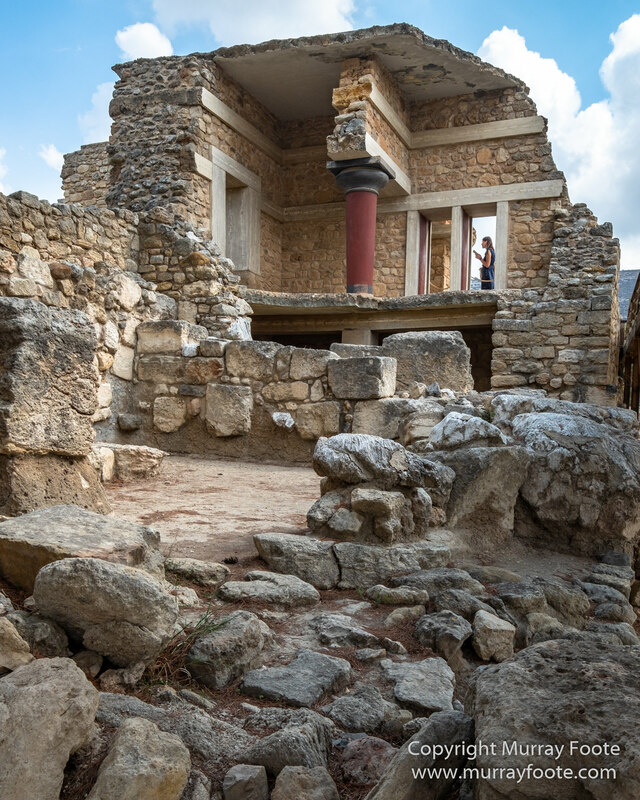 Heraklion and Knossos, Crete, Greece, 12th to 13th October 2018. 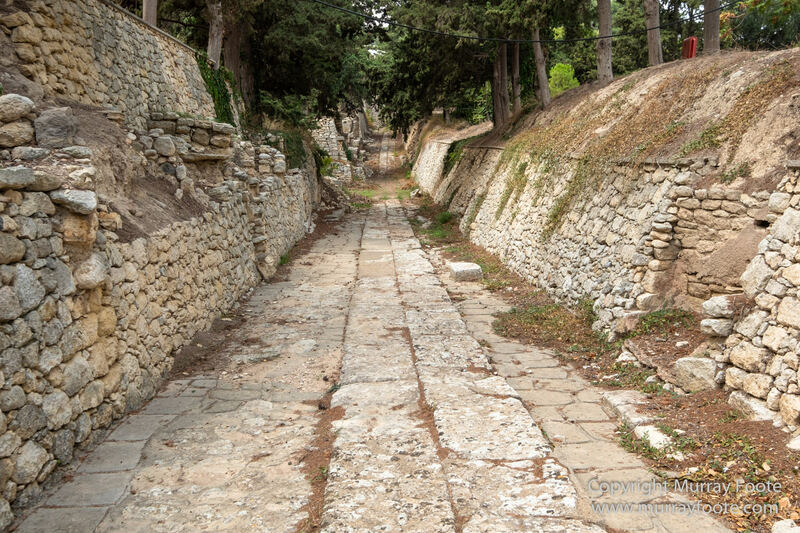 I’ve been back but I’m continuing the temporary posts. What that means is that I’m just processing in Lightroom and ignoring images that I bracketed for exposure or for focus stacking. There are quite a few of those. 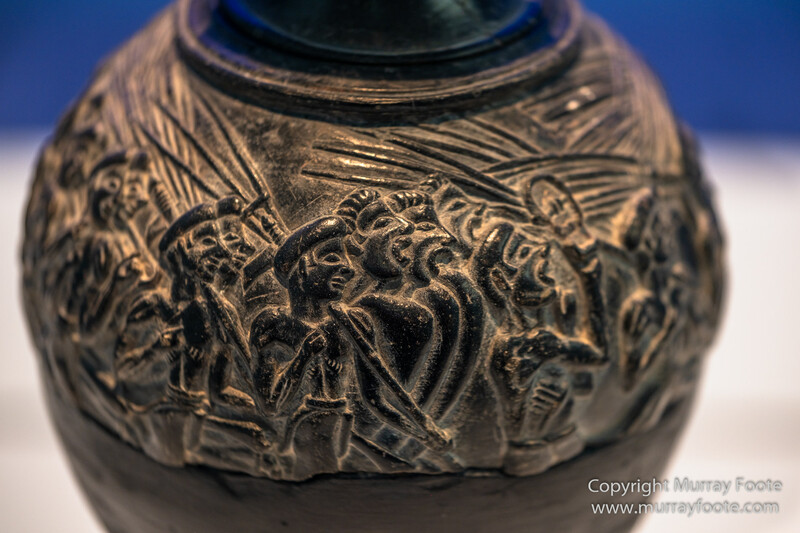 In due course I’ll include those images and others in final posts with details on the subject matter, including history and archaeology. 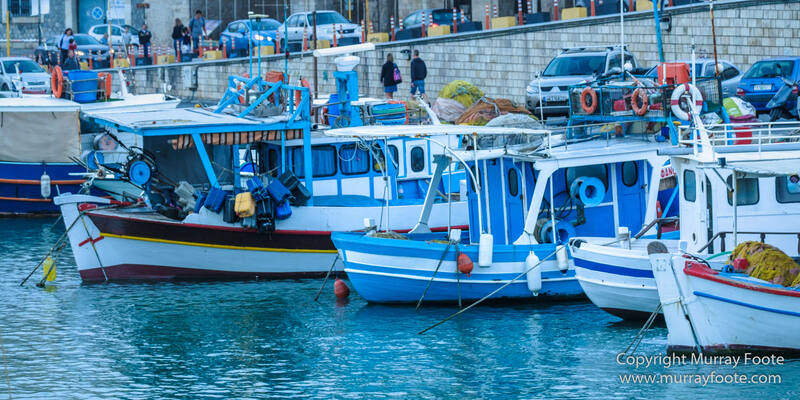 That may take a while because I expect I’ll finish off final posts for Cuba and the Caribbean (2016) first. 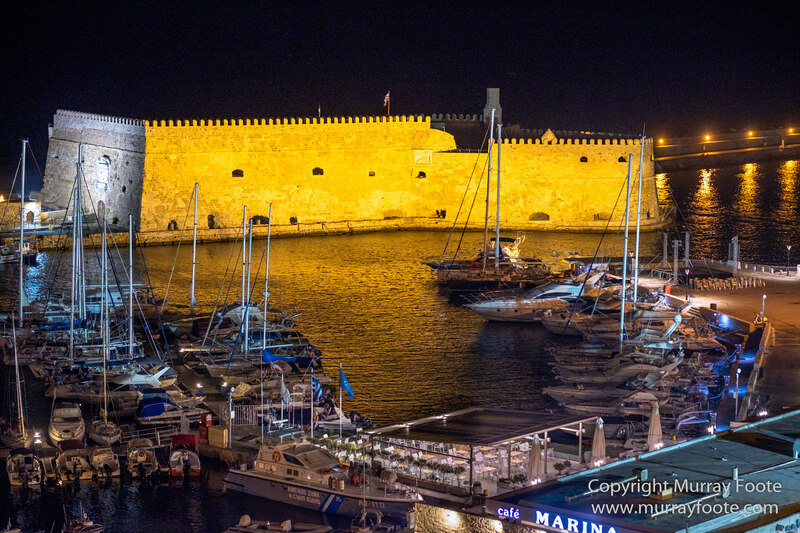 Venetian fort in Heraklion, from our hotel room. 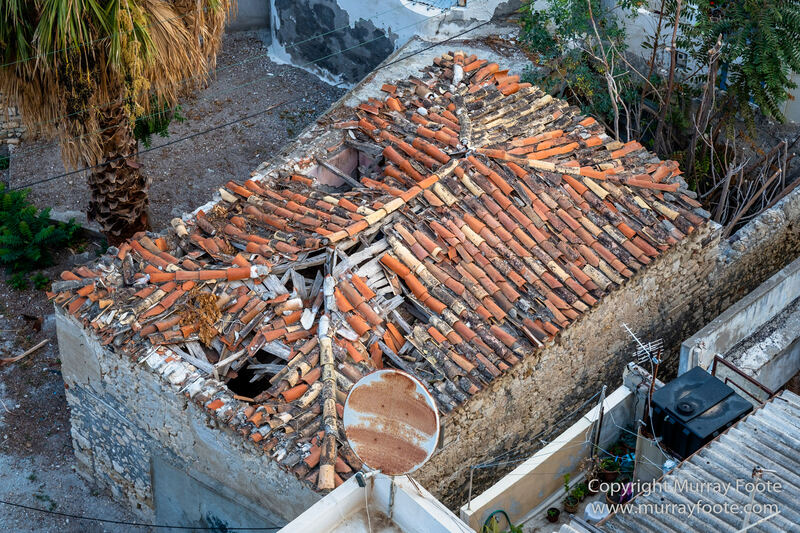 Old building in need of roof repair, also from our hotel room, Heraklion. 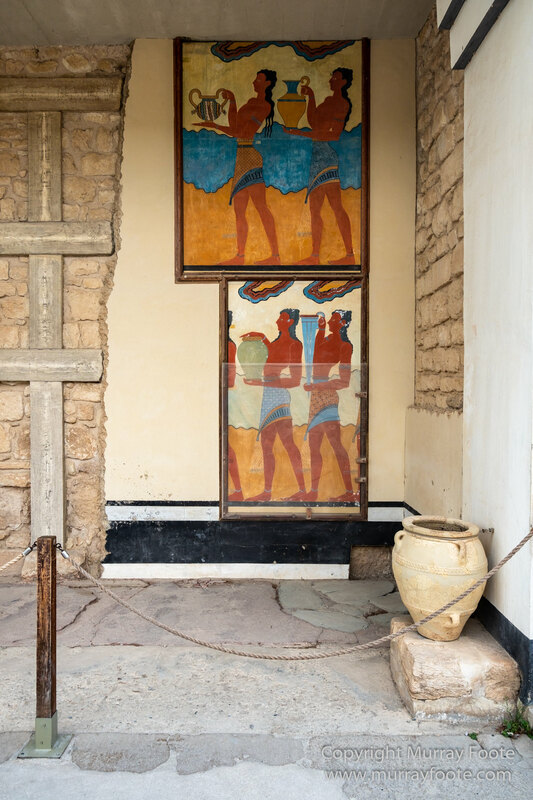 Recreated murals in South House. 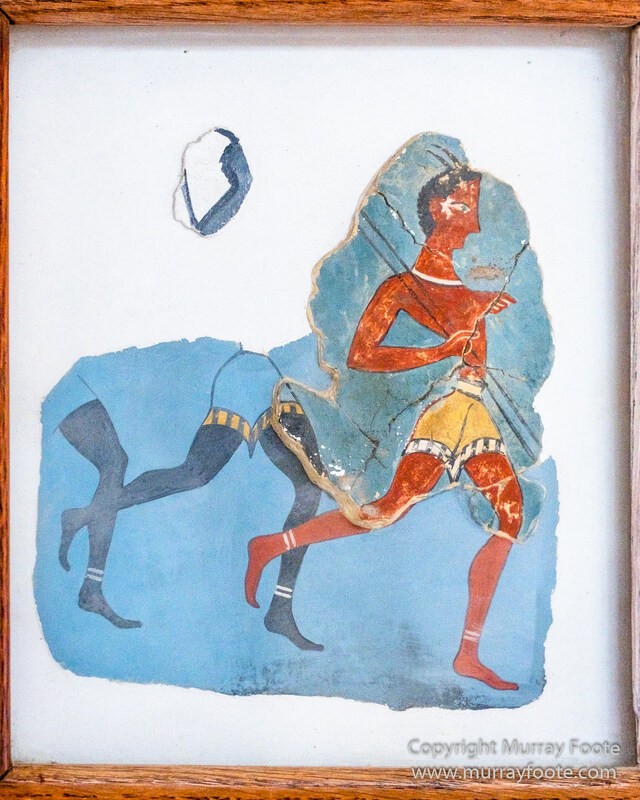 Original fragment of mural with some recreated surrounds. 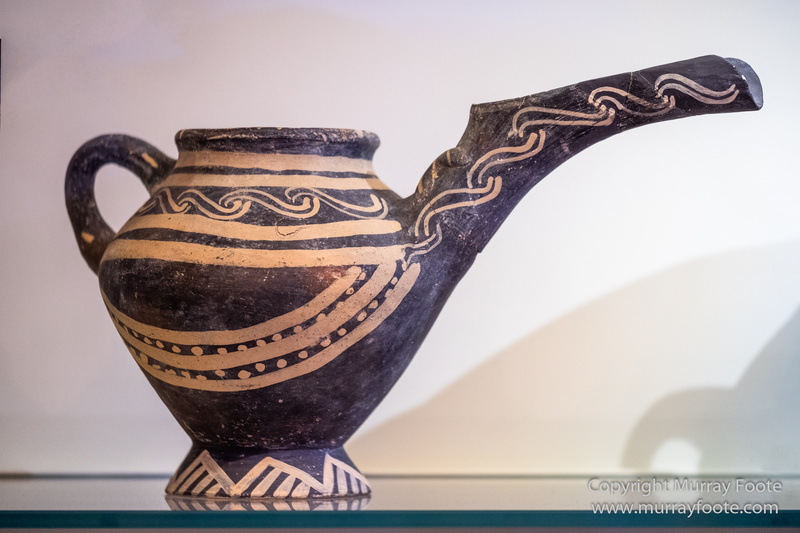 Heraklion Archaeological Museum ( and following images). 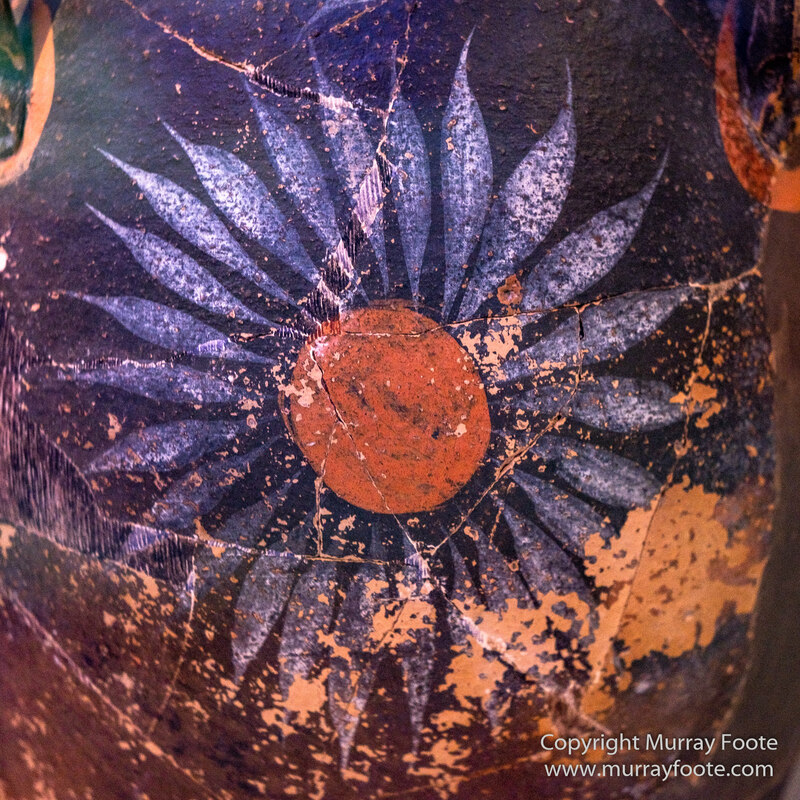 Decoration on a jar, Knossos, 1800-1700BC. 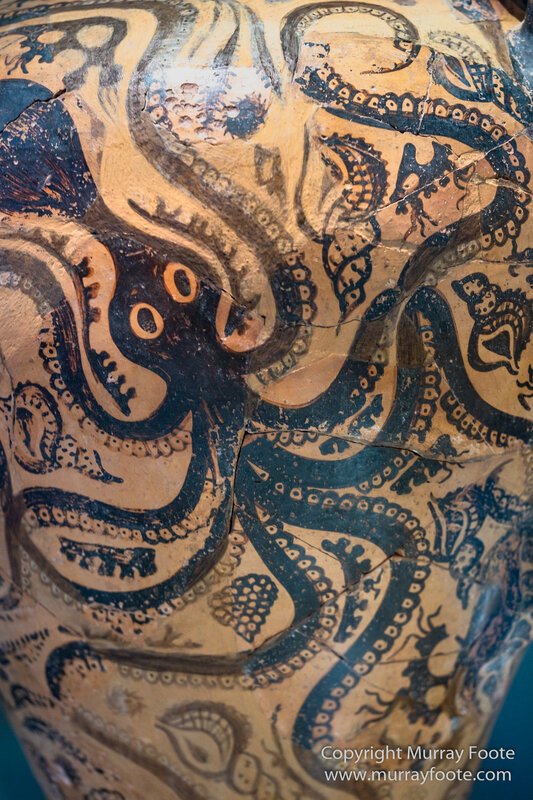 Octopus jar. 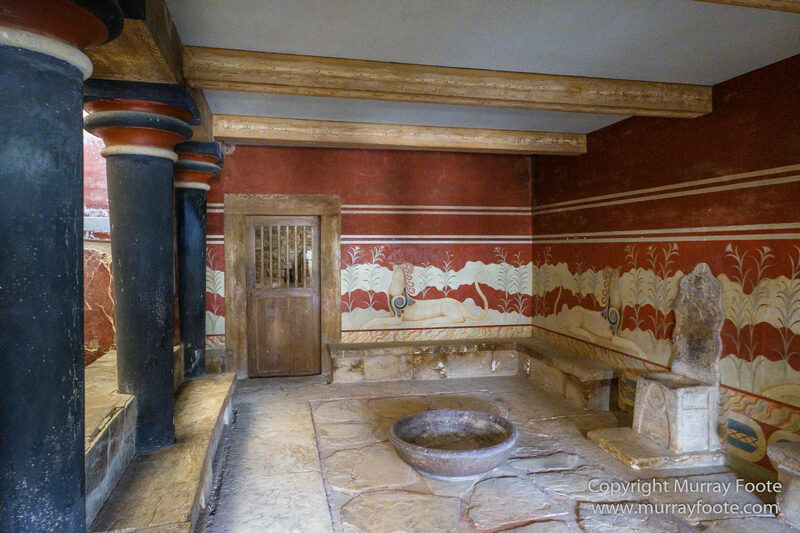 The most famous jar decoration of them all, Knossos, 1500BC. 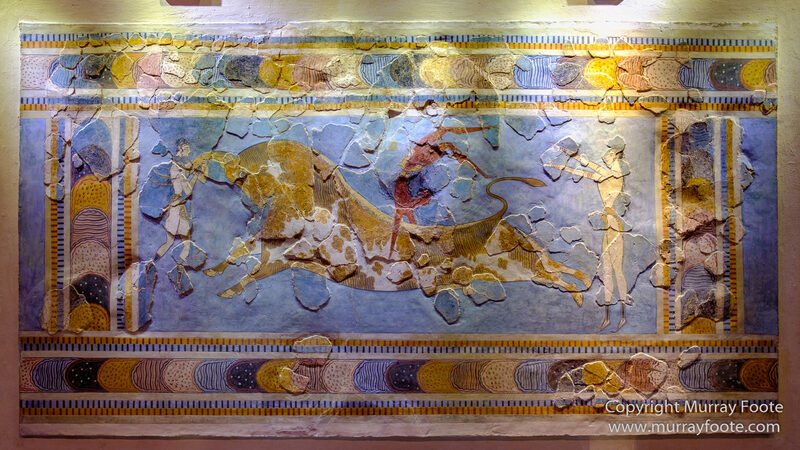 Bull-leaping fresco, original and restoration, Knossos, 1450BC. 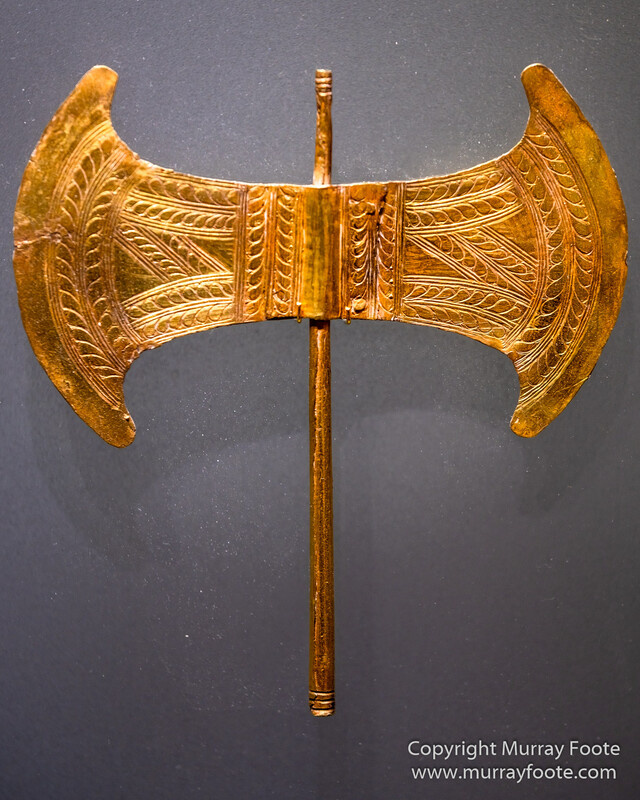 Gold axe, Arkalochori Cave, 1700-1450BC. 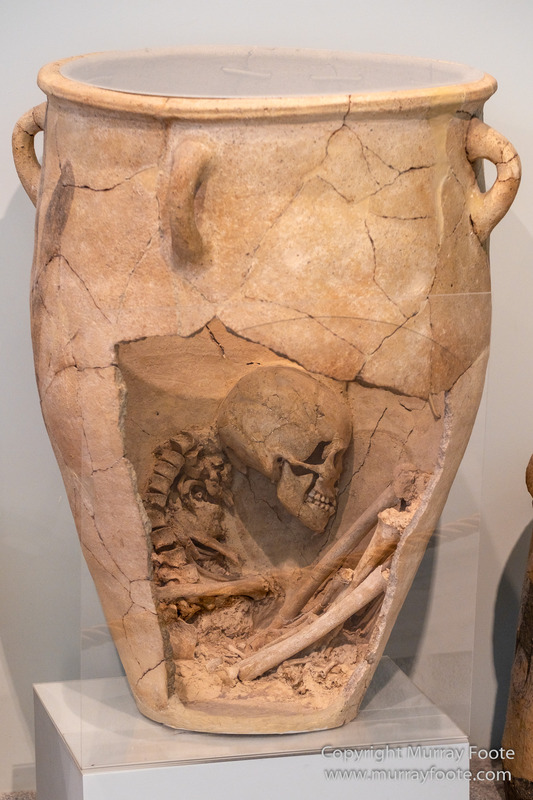 The Harvester Vase, Hagia Triada, 1450BC. 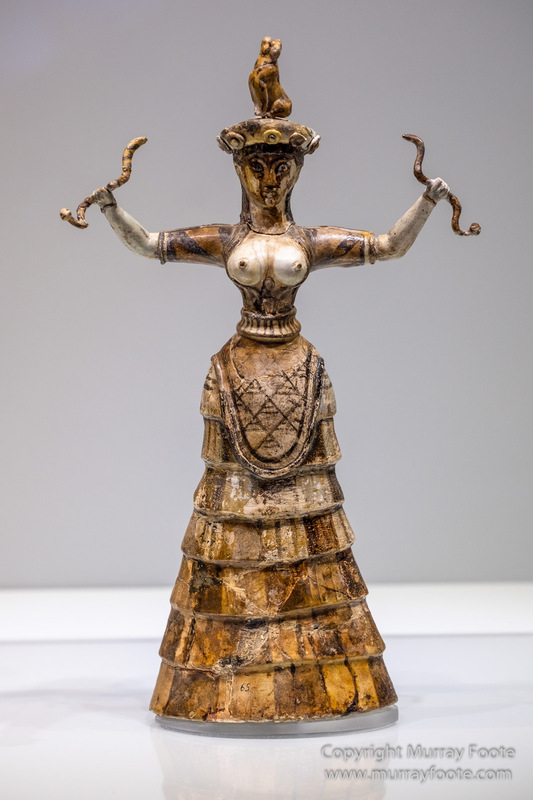 The Snake Goddess, Knossos, 1650-1550 BC. 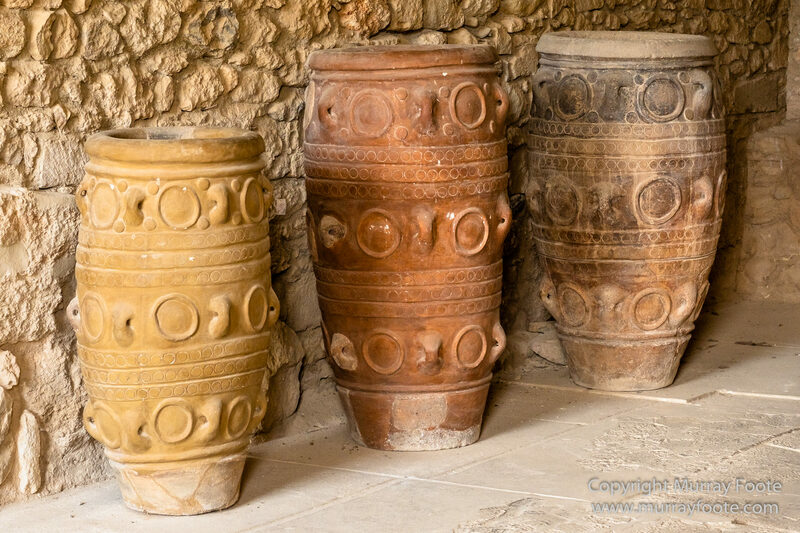 Funeral urn, Knossos or Eastern Crete, 1700-1450 BC. 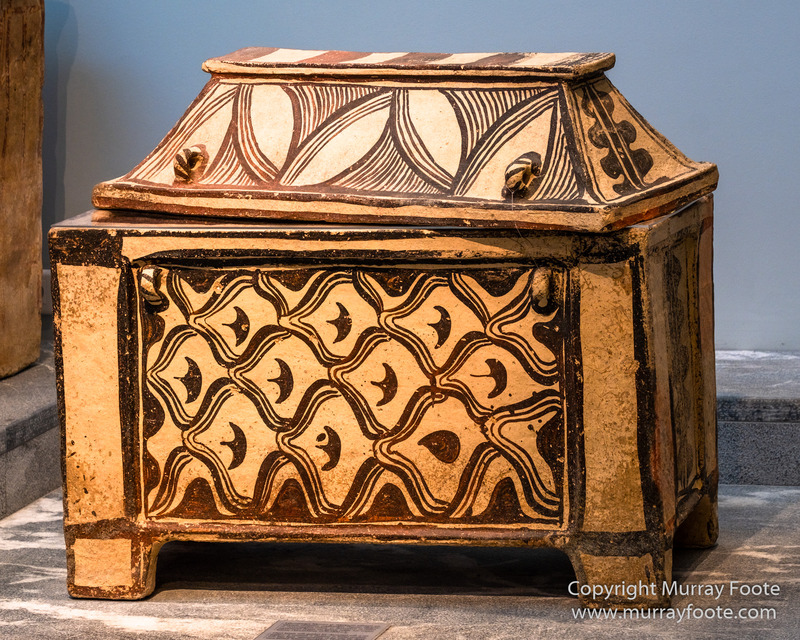 Coffin, Tylissos, Panokklisia, 1370-1300 BC. 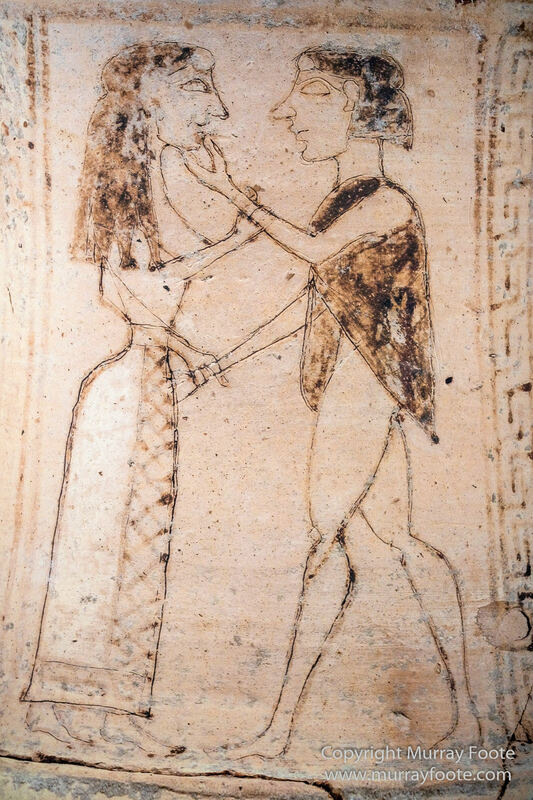 Conversing lovers, detail of vase decoration, Arkades-Afrafi, Archaic period, 7th century BC. 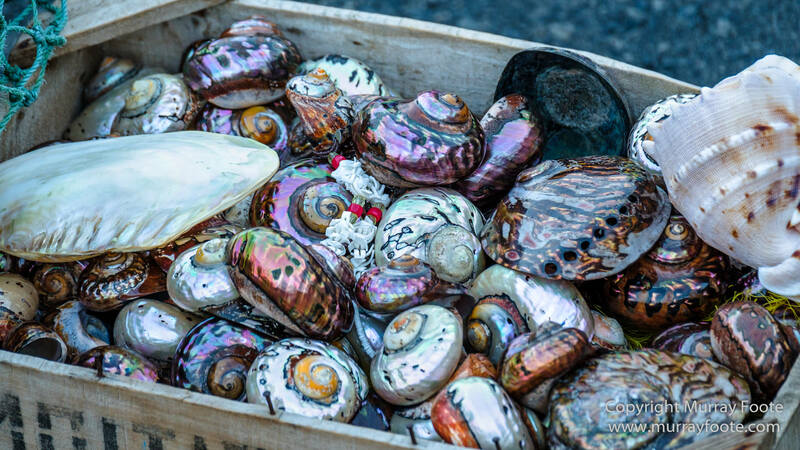 Shells for sale by fisherman. 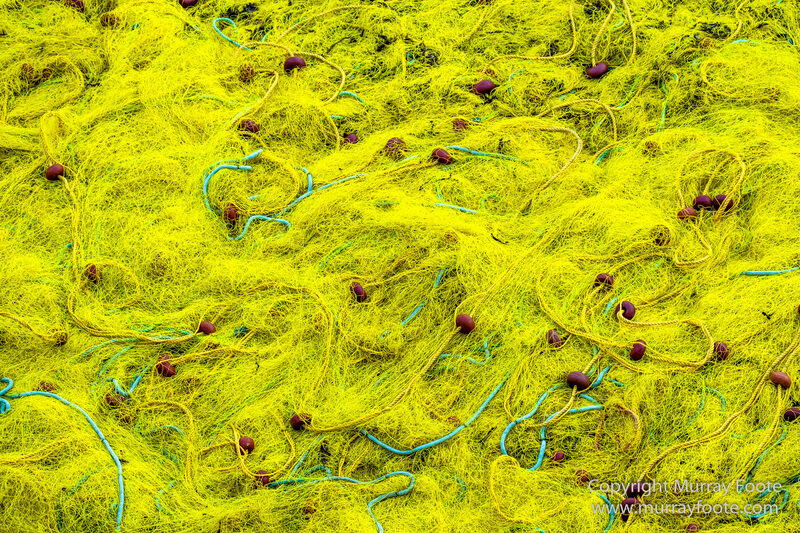 Fishing net on the wharf. 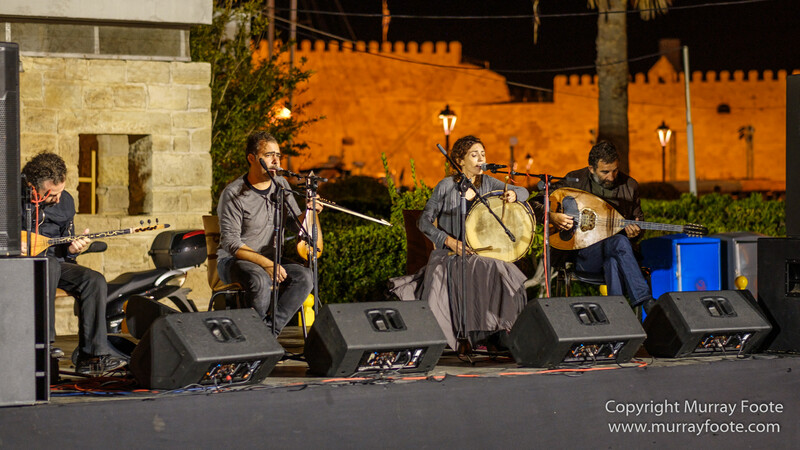 This entry was posted in Greece and tagged Archaeology, Architecture, Art, Crete, Greece, Heraklion, History, Knossos, Landscape, Live Music, Photography, Sculpture, Street photography, Travel. 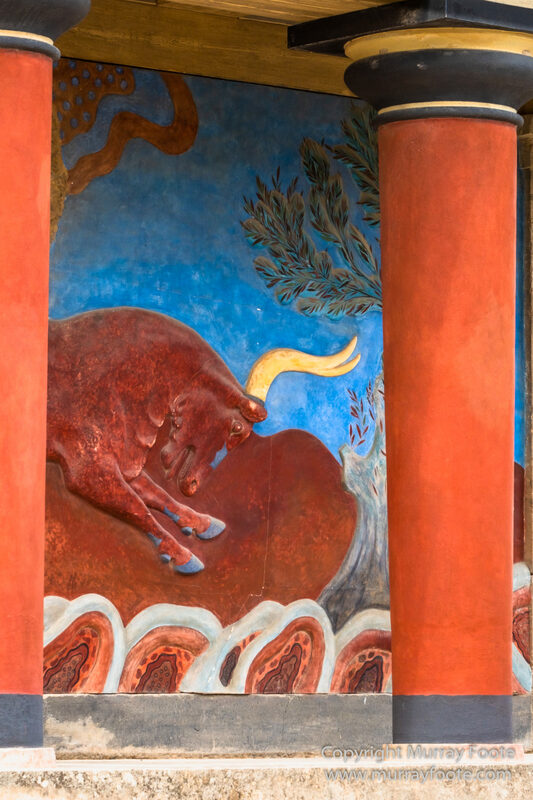 I love the bull-leaping fresco. The throne room looks great too, but I hope someone had a nice cushion for that throne. It seems an oversight that they didn’t design a cushion that would survive for 3,500 years.